Ignite GREATNESS Through Your World-class Positive Attitude! Daily we encounter people, events, and situations that affect us. While we navigate our life course, our attitude either guides our success or sets us up to fall short of living a life of high-quality existence. The manner in which we approach life through the lens of our attitude compels us to act and behave the way we do. The attitude we choose is how we define ourselves. It also provides a lens of how others define who we are. 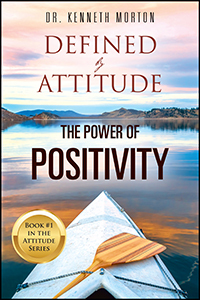 In Defined by Attitude: The Power of Positivity, Dr. Kenneth Morton takes you on an exciting personal journey to explore attitudes. He provides you with life-changing transitional power through maintaining a world-class positive attitude. 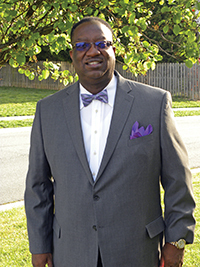 Dr. Morton coaches you through introspective Attitudinal Checkups and challenges you to adapt attitude-changing affirmations in each chapter. He shares personal stories and uses real-life situations to inspire you, your organization, or your team to new levels of greatness by leveraging the power of a world-class positive attitude.